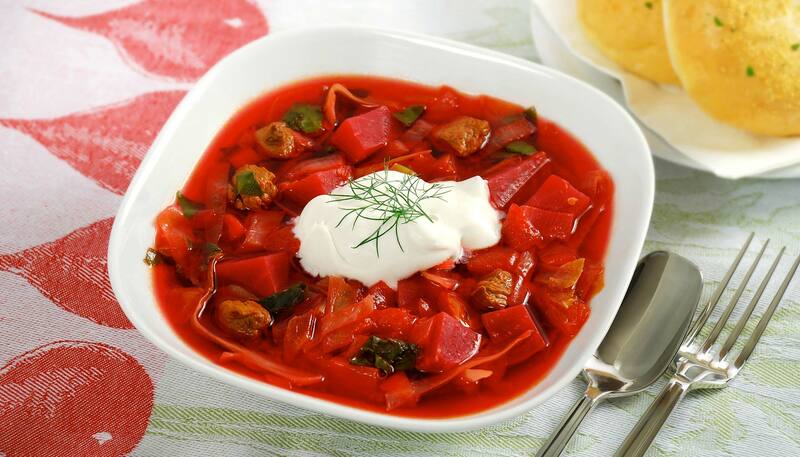 Borscht is beets soup originating from Ukraine and well-known as a Russian cuisine. There are a variety of recipes by region. Borscht is traditionally served with Pampushki; a Ukrainian dinner roll flavored with garlic and herbs, but is also good with pasta or rice. 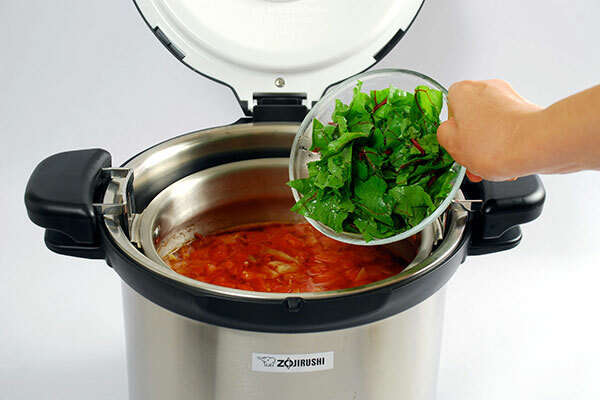 Heat oil over medium-high heat in the Stainless Steel Thermal Vacuum Cooking Pot inner pan. Add the beef, and sear until well browned. 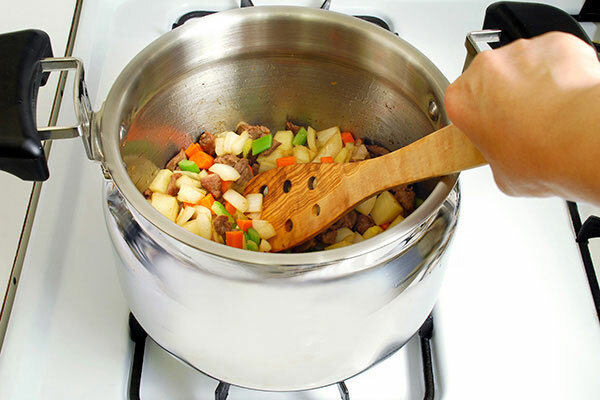 Stir in the onion, celery, potatoes carrots and cook about 3 minutes. 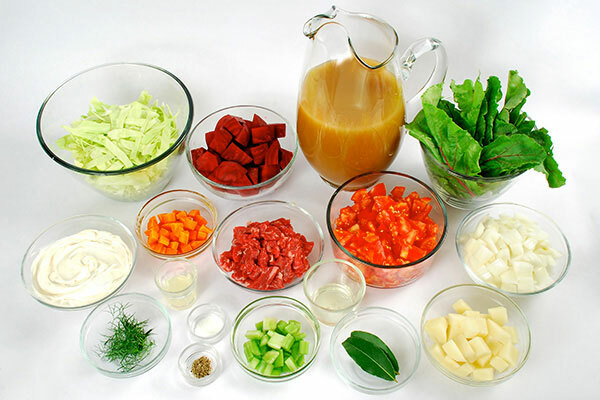 Add the beef broth, lemon juice, cabbage, tomatoes, beets, bay leaves, salt, and pepper. 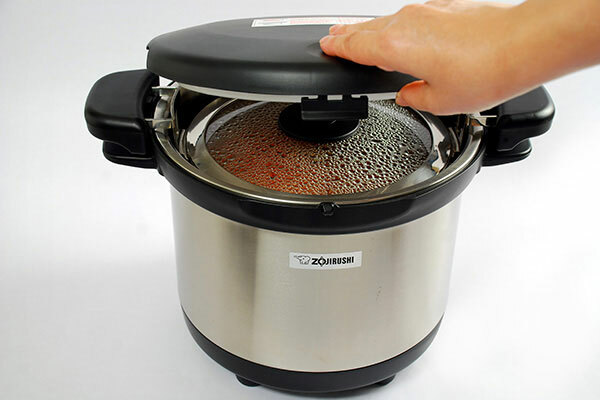 Bring to a boil over high heat, skim the surface then place the inner pan in the insulated container and keep warm for about 2 hours. Chop and add the beet leaves into the borscht, and keep warm an additional 15 minutes. Remove bay leaves, check the taste and adjust with salt and pepper. Serve with a dollop of sour cream, and a sprinkling of dill.